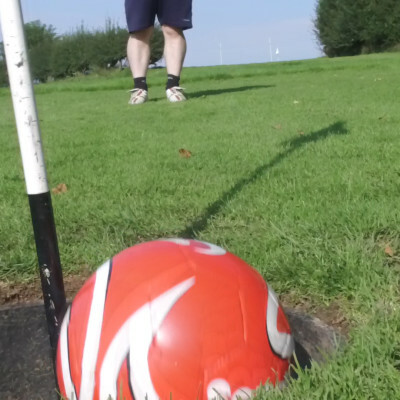 Footgolf and Rugbygolf Fun and exciting new sports played on a golf course with a football or a rugbyball. 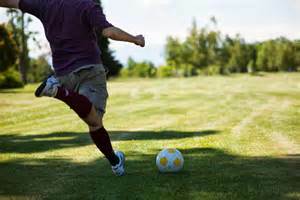 Footgolf is a fun and exciting sport played on a golf course with a football. The object of the game is to place the ball into the hole using only your feet in the lowest amount of shots possible. It combines the social aspect of golf with the countries passion for the beautiful game of Football. Strength and precision are important in equal measure making it a fantastic game for every man, women and child! 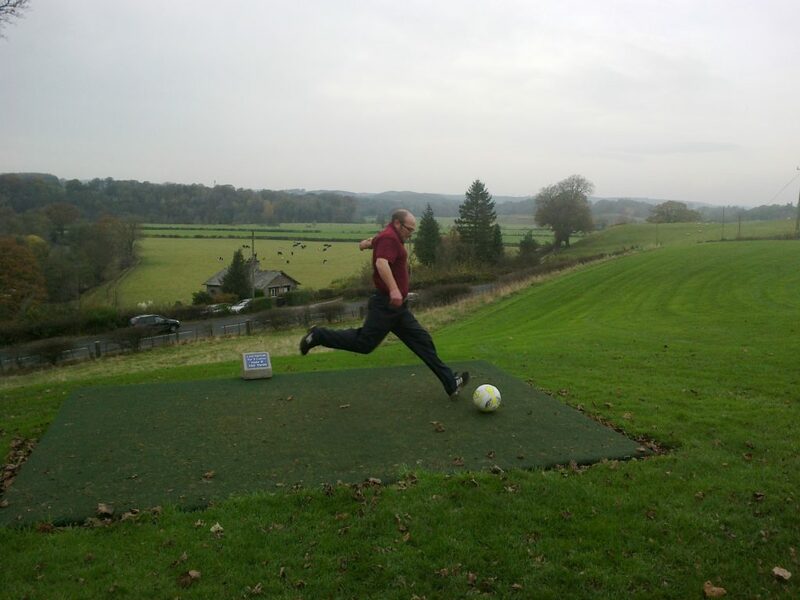 The Footgolf Course at Casterton is located on our Par 3 Golf Course which is separate from our main Golf Course. It has been designed to test every players ability whether young, old or a professional footballer. 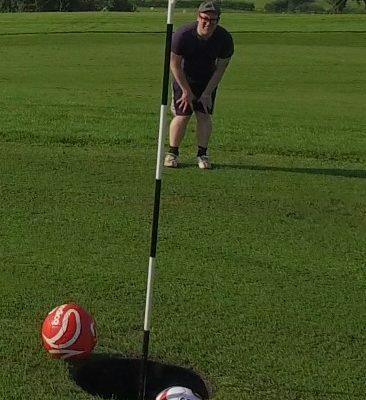 It takes around 1 hour to play 9 holes of Footgolf. 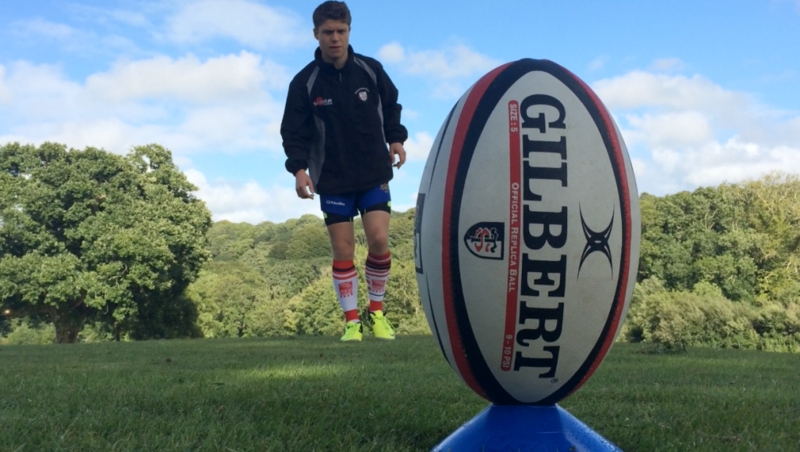 RUGBYGOLF – Only the 4th course in the UK! 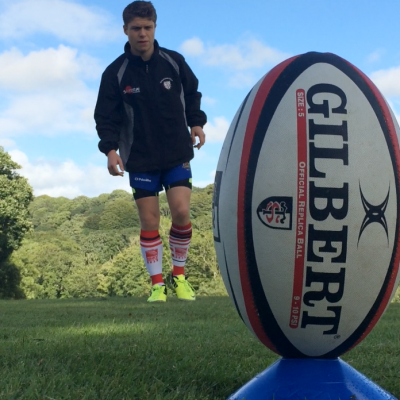 Why not try out the latest sport to be played on a golf course with a rugbyball – Rugbygolf. 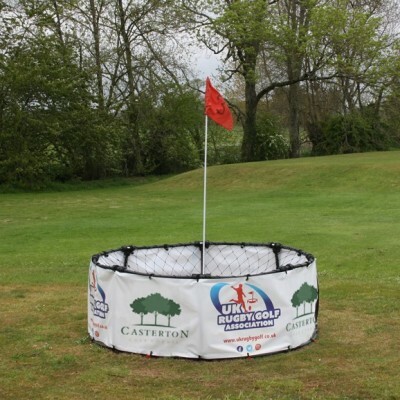 This golf rugby cross is a ideal for the whole family. 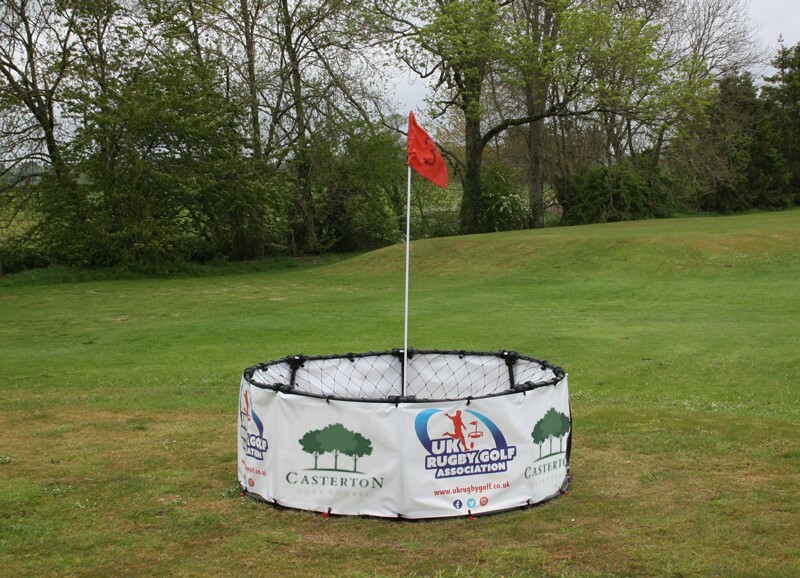 Test your kicking and throwing skills and accuracy as you launch the rugby ball from the tee into a specially designed Rugbygolf net in the least number of shots possible. The Rugbygolf course is located on our Par 3 Golf Course which is separate from our maingolf course. NB. We do have some rugby balls for use but if you have your own rugby ball it is adivisable to bring one with you. 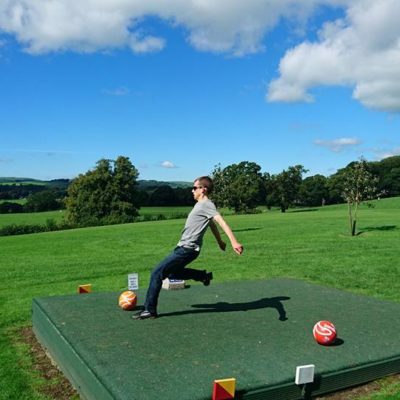 FOOTGOLF AND RUGBY GOLF ARE OPEN 7 DAYS A WEEK, ALL YEAR ROUND. Summer Open from 8am – 8pm last kick off (times after 7pm please book). £7.50 for 9 holes or £10 for 18 holes. £6 for 9 holes or £8 for 18 holes. 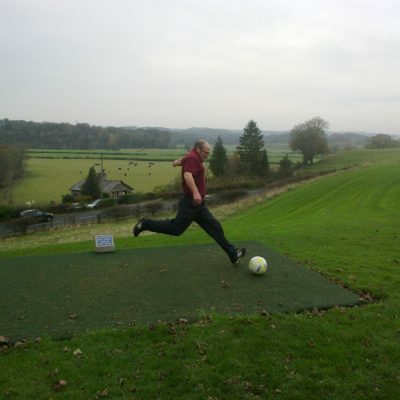 9/18 Holes Footgolf/Rugbygolf followed by 3 course Christmas meal (2 choices per course). 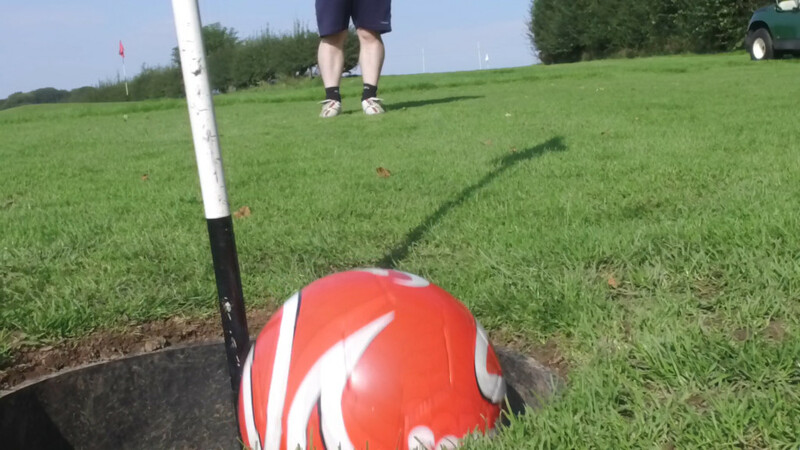 9/18 Holes Footgolf/RugbyGolf followed by Sausage Buns or Pizza and Chips and squash. Party table prepared and cake supplied on request. £8.50/£10.50 pp. 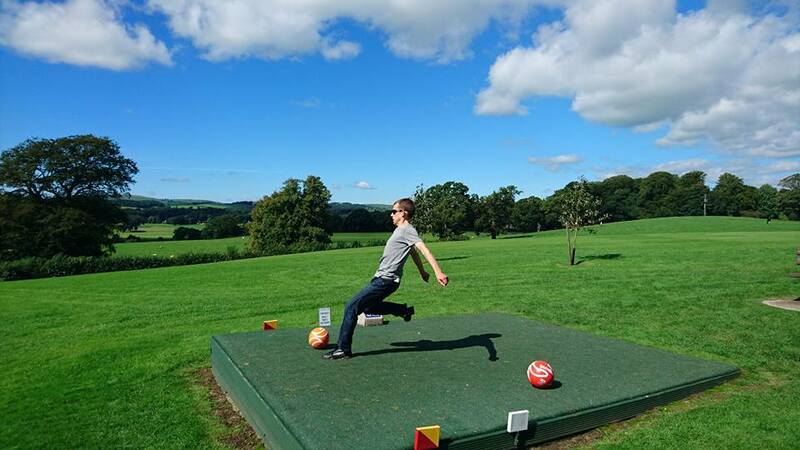 The package includes footballs/Rugbyballs and use of the Footgolf/Rugbygolf course and food. Adult supervision is required at all times. 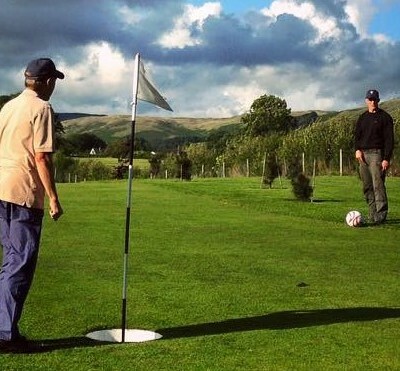 We welcome stag and hen parties to our Footgolf/Rugbygolf course by prior arrangement. Please ring the clubhouse to discuss your groups requirements. Golf and Afternoon Tea £22 per person. Booking Required. Open to all ladies of any golfing ability, members and non members. Fun, informal, social golf sessions followed by refreshments and socialising in the clubhouse. 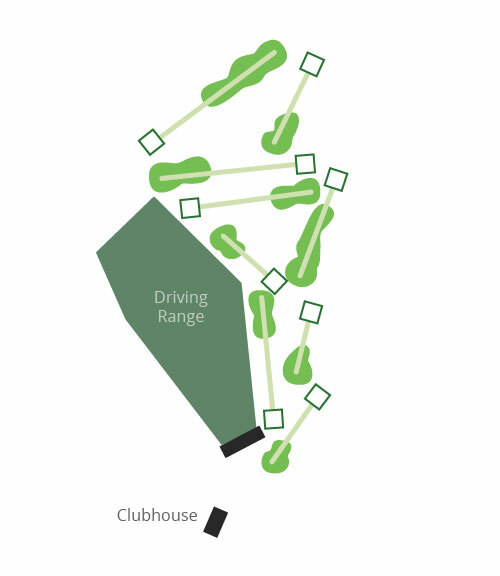 Hit balls on the range, use the practice facilities and head out onto the course. Level 1 Golf Coach in attendance. Price freeze + more benefits!! Adult Member (pay outright) – £340 includes FREE benefits worth £270. Includes membership of the maincourse + membership of the Par 3 worth £250pa and driving range tokens worth £20. To qualify for this membership full payment of fees must be made at the time of joining. You can join on the 1st of any calendar month for a 12 month duration. 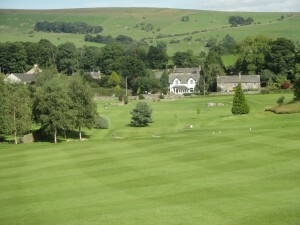 Includes membership of the maincourse + membership of the Par 3 worth £250pa. To qualify for this membership a non refundable set up fee must be paid with the first month’s membership. Monthly payments must be made on the 1st day of each month by bank transfer. A member has the right to cancel their membership at any point, Casterton Golf Course reserves the right to refuse access for golf if a payment is not made by the 1st of the month. If a member cancels their membership or misses a payment the set up fee will be payable again. Existing Members – If full members wish to move to Pay Monthly Membership once their current membership finishes then no set up fee is payable. Includes weekday membership of the Par 3 course and weekend Par 3 Golf (subject to availability at weekends). Par 3 membership must be paid outright at the time of joining. You can join on the 1st of any calendar month for a 12 month duration. Junior Member (Add on to Adult Pay Monthly) – £20 Setup fee plus £5 per month. ALL MEMBERSHIP CATEGORIES INCLUDE DISCOUNTED DRIVING RANGE BALLS, BUGGIES AND TROLLEYS. ACCESS TO THE PUTTING GREENS, SHORT GAME PRACTICE AREA AND CHIPPING GREEN. 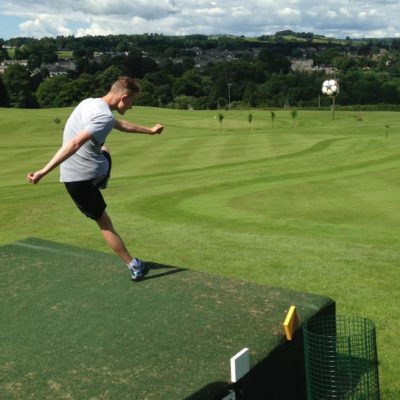 Casterton Golf Course have engaged Paul Woodhouse PGA Pro to be on hand to deliver Golf Coaching at Casterton every Saturday morning from the 2nd March 2019. This coaching is available to members and non members, beginners and more experienced players. Thank you to all ladies who took part. We appreciate your support. Prizes can be collected from the clubhouse. The winners were M Bulloch, P Irvine, I Irvine and J Bulloch with a score of 58.6. The nearest the pin was won by D Hall. The Mixed Texas Scramble team of 4 Open will now take place on the 5th September 2018 as it was rained off on the 22nd August. Entry is £40 per team. Unfortunately we have had to cancel the Mixed open on the 29th June. All payments made have been refunded in full. Any questions please contact the clubhouse. The clocks are due to change this weekend – why not make use of the lighter nights with our great new Green Fee Rate. Unlimited Golf for the evening on either the Par 3 or the Main Course (or both) for only £12. Only valid on tee times after 5.30pm. On the 6th March our new coffee machine will be installed. 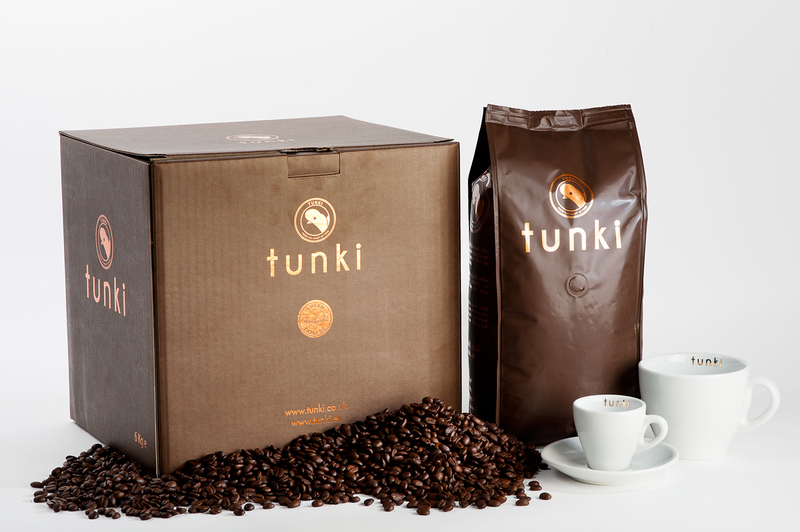 We will now be able to offer a range of coffee drinks made with the finest TUNKI Coffee. We will also be offering a delicious Peruvian Hot Chocolate. Come and try our NEW Coffee! The winners of our winter open are C Lobb and J Kokoly with a score of 47 pts. Well done. Thank you to all who supported this event. The next winter open is a Christmas Special Fun Competiton open to all (with or without handicaps). This will take place Sunday 3rd December only £10pp. There were no 2’s and the two’s money will be put towards purchasing a defribrulator for the golf course. Thanks to everyone who took part. Hope you enjoyed your day despite the weather! Unfortunately due to the bad weather we had to cancel the ladies open on the 13th September 2017. We have rescheduled this event for the 22nd September and have spaces avaialble. 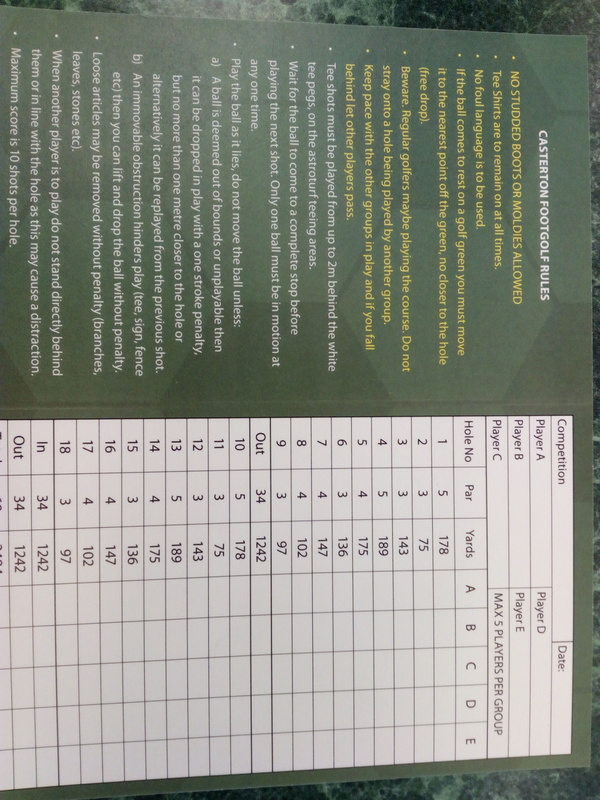 Nearest Pin LADIES – There were no names added to the ladies nearest the pin sheet and as a result the ladies entry fee will be donated to funds being collected to purchase a defibrillator at the course. Congratulations to the prize winners in our Ladies Texas Scramble. The results were extremely close. The results of our Ladies 4BBB Stableford are as follows. Congratulations to the winners and many thanks to everyone for taking part I hope that you all had a lovely day. Congratulations to the winners of the December Winter Open. Thank you to all that took part in our October Winter Open. Congratulations to the overall winner Stuart Foulds, Casterton Golf Club, who had a score of 41 points. Stuart also won the front and back 9 hole competitions with 22 points on the 1st 9 holes and 19 on the back 9 holes. Well done. The next winter open is on Sunday 20th November. The cost of entry is £13 pp and this includes entry, prizes and a 1 course meal. Members entry fee is £7 pp. What a fantastic sunny day of golf. Well done to everyone who played and congratulations to the prize winners. What a wonderful day of golf. The weather was beautiful and the course was looking stunning. Here are the results from the competition. Well done. Congratulations to the prize winners in our Ladies Texas Scramble. Nearest the Pin on the 3rd – A Standing 11 ft 10in. Congratulations to the prize winners in our May Mixed Open. On a Tuesday night we run a mens social golf night starting at 6pm. These sessions are open to course members and non members, beginners and more experienced golfers. The sessions are informal with chance to hit driving range balls and play a few holes on the Par 3 or main course. Golf clubs are available to borrow if required. £1.50 for members or £4 for non members. All Welcome. Just come along. Congratulations to the prize winners in our ladies open. If course members would like a password so that they can access the members area of the website please give your email address to the clubhouse staff and a password will be sent to you. 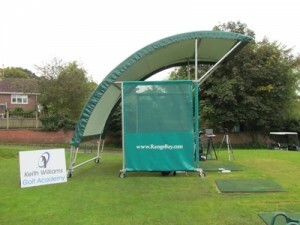 Portable driving range bay covers have been purchased and are being constructed at Casterton. This will allow you to practice on our driving range even when the weather is poor. The covers will be as pictured. Due to be operational by the end of March 2016. Meet in the clubhouse at 6pm and then head out as a group to hit balls on the driving range, play golf on the course and meet new people. Return to the clubhouse for refreshments. These fun informal social events are open to members, non members, beginners and more experienced players. Just turn up, no booking required. Golf clubs are available free of charge. 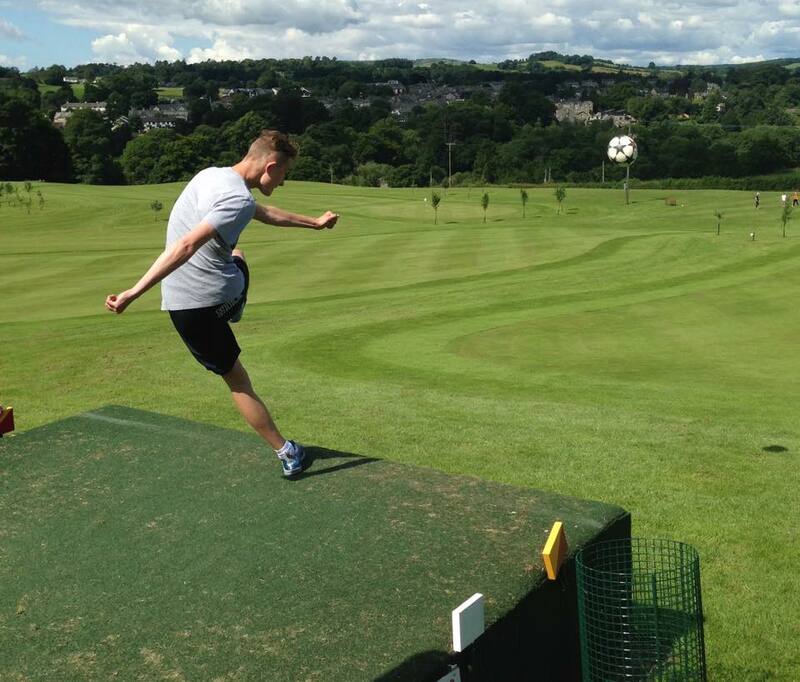 No prior golfing experience – not an issue a Level 1 Golf Coach will be onn hand. GET INTO GOLF SESSIONS 2016 – Bookings now being taken. See the Golf Lessons section. Annual Presentation Night, November 21st at the County Hotel, Carnforth. 3 Course Meal and Entertainment. Get into Golf Group Lessons with CORE Golf Professionals. These lessons are for those new to golf and improving golfers. ONLY £25 for 10 Lessons. HALF PRICE. Starting every Saturday for 10 weeks from the 4th April 2015. Ladies 18+ 11am – 12pm. To book or for more details ring 01524271592.MAX 8 People per Group. 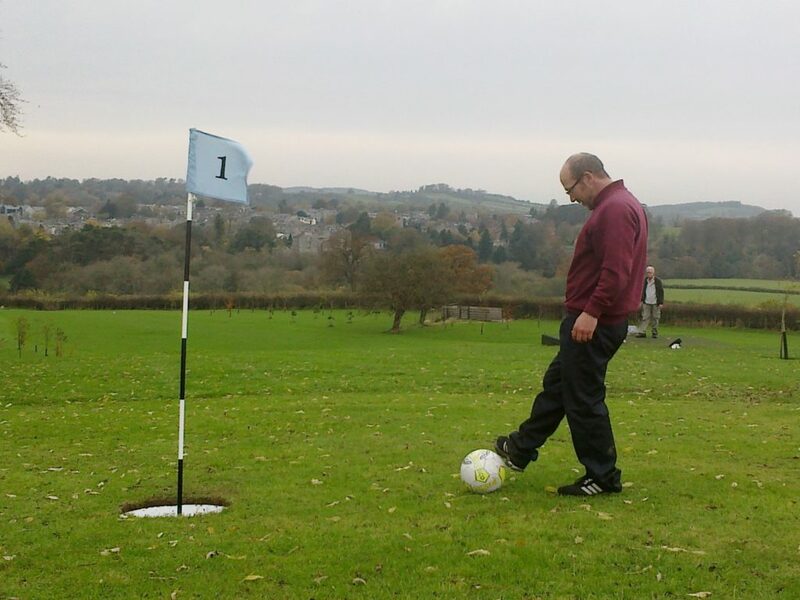 First Footgolf official qualifying competition at Casterton on the 15th March. 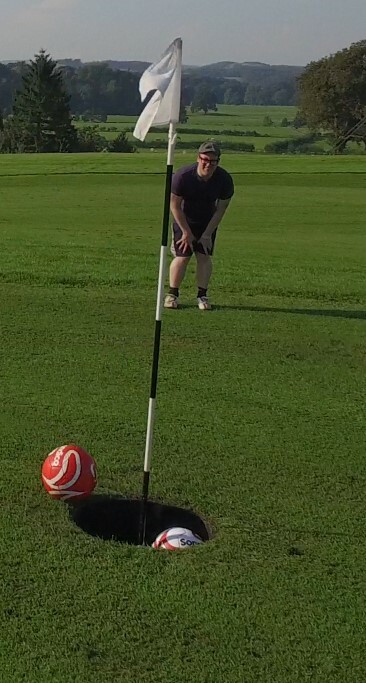 Visit www.ukfootgolf.com to book. Sunday the 8th March 2015. Team of 3. £36 per team. Stableford. 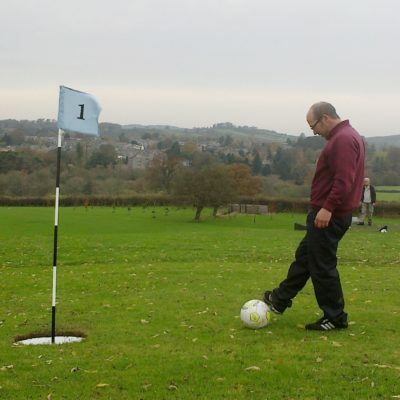 See the Footgolf Page on our website for further details. SEE OUR JUNIOR SECTION & BOOK NOW !